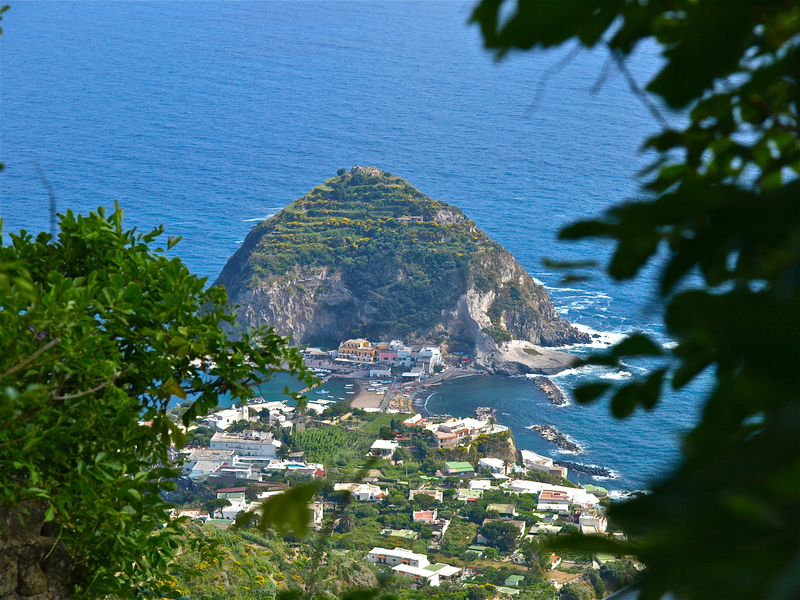 Here’s a picturesque little dot out at sea that I’m sure you’ll enjoy — Ischia (EE-skee-ah). The largest island in the Phelgrean Archipelago — just at the northern end of the Bay of Naples in the Mare Tirreno (Tyrrhanean Sea) — Ischia is where about six-million tourists come annually to enjoy la dolce vita (the sweet life) — for a week, a month or an entire season. Now, if that isn’t LAID BACK, I don’t know what is.